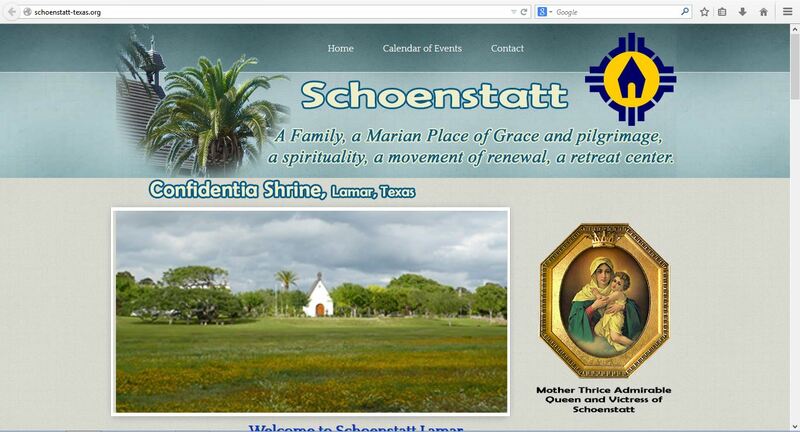 Schoenstatt translated from the German language means: beautiful place. And that is what you will find. You can also visit the Schoenstatt Center and our Shrine, a Marian Pilgrimage Place when you travel towards Rockport and Lamar where it is located on the coast. You will experience tranquility, peace and most of all our Lady of Schoenstatt, the Mother of God.